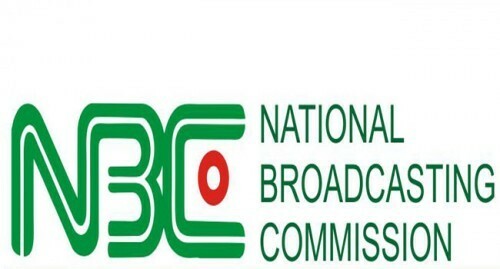 The Nigeria Broadcasting Commission (NBC) has taken a bold step in reviewing the broadcasting code in order to check the excesses of hate speech ans fake news in broadcasting stations. Zonal Director in charge of the North-Central, Dr. Igomu Onoja said said on Saturday in Jos that the review had become necessary to enforce ethics and check the excesses of broadcasting stations. Onoja was speaking at a colloquium on “Fake News, Hate Speech and Nigeria’s Democratic Sustenance” organised by the Plateau chapter of the Nigeria Union of Journalists (NUJ), to mark 2018 Press Week. He warned broadcasting stations against being used by desperate politicians to “pollute the system with hate speech” because it had the tendency to set the nation on fire. “We have radio stations in Jos clapping for people that say that the Plateau governor is mentally deranged; even worse things have been said on air. We cannot tolerate that,” he warned. Onoja further advised media organisations to be fair in allotting air time to political parties and groups even as the nation prepares for the upcoming 2019 general elections campaigns. “If you give 30 minutes to Party A, the same duration should be given to party B in the same media organisation,” he said. Earlier, the Guest Speaker, Prof. Umaru Pate, had accused the Nigerian media of paying too much attention to political news. “More than 70 per cent of the news we cover is political; practically all the headlines are political. We do not seem to have time for the economy and even insecurity that has been a major concern for the poor. “Everything political is news, but burning issues like poverty and violent conflicts do not seem to worry us. This is bad. And sad,”’he said. Pate blamed the rising rate of fake news and hate speeches on political affiliations, foreign interests, ethnicity and religious institutions, among others, and described the situation as “highly alarming”. Pate, who is a professor of Mass Communication at the Bayero University, Kano, regretted that prominent persons had taken advantage of the significance of the media in societal processes to misinform, deceive and incite. According to him, Nigerians in the Diaspora had constituted a major source of fake news and hate speeches, regretting that people with little or no understanding of the issues in the country were using the social media to incite people against each other. He noted that Nigeria is a multi-cultural country and then urged Nigerians to be sensitive to such variety and avoid speeches or remarks that could hurt each others’ faith, ethnic groups or origin. He particularly decried the involvement of the mainstream media in the dissemination of hate speech and fake news, saying that such involvement was adding credibility to the twin evils. Pate also advised journalists and media houses to avoid collecting bribes to compromise standards by people seeking to spew hate speeches, and emphasised the need to respect professional ethics.